If you have followed my blog, you know it’s time for another giveaway! Thanks everyone for your inputs on my reviews. Obviously, Panio bootcut was my favorite between the two. Allison Izu generously agreed to award one lucky reader an item from her collection. A BIG THANK to Allison for sponsoring this giveaway. One lucky winner will receive a pair of her choice of style as well as size (sizes are available from 000/27 to 10/31) from Allison Izu Fall Collection below. If you are going to order these fabulous denim, don't forget to use code PetiteLG for additional 20% off your entire purchase. (+1 entry) - Tweet the following and leave me your Twitter ID in the comments below. 3. Winner will be announced on Monday August 23rd. I will be checking all entries to ensure its fairness. I like the UK Zipped Super Skinny style. Hey! I'm @shortystories! I'd love to try the Panio bootcut, but the store only has a size 10 left. However, I'd also try the Panio lowrider bootcut. I would totally love to try the Chinatown Black Trouser Jeans. I like how they're more straight-leg, which is best when you have short legs but lots of fat in the thighs! YAY! I love petite designers!!! Please enter me!!! I have been a follower!!! I want to try the KOLOHE!!! EEEEE I'm so excited that I can participate in this giveaway! I'm now a public follower of your blog. I'd like to try the Kolohe skinny jean. Oh wow! Everything looks lovely, I'd like to try any of the skirts for sure! SO CUTE! Thanks so much for doing this giveaway!! i'm a follower and i want to try the hotel st skinny. i also tweeted (kim33dee) and posted your button on my blog (kimeedee.blogspot.com). thanks!! Hi Sydney, I'm already a follower. I'd like to try the Panio Low Rider bootcut, and the Hotel St Skinny. Thanks for posting this giveaway! I'm so excited about this giveaway! I'm a follower and want to try the chinatown: honolulu hou. I've tweeted - my ID is @savetheolives. 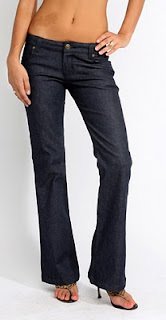 I always want to try their skinny jeans: KOLOHE: Skinny Jean. Blogged the button on my side bar. 1- I'd like to enter please ! New subscriber ! 2- I like the Luana Lulu wide leg. I can picture it with a fluffy white top ! Great giveaway and so generous! -I'd love to try the piano bootcut as well. They look great on you! 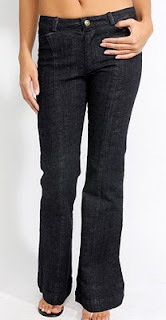 Wow, jeans for petites! Awesome. Visited their site, like to try the KOLOHE WELT: Skinny Jean. Thank you for hosting another great givaway. Hope I will be a lucky girl!! 1) I am a follower. 2) I want to try the Patio low ride bootcut. I'd like to try Panio Lowrider bootcut. Both the Kolohe skinny jean and the UK Zipped Capri look good! Been following, but I dunno why I didn't click "Follow publicly" before. Just did it now. 2. I like the PANIO LOW RIDER: Bootcut. Although the 27" inseam is too short for me and the 31" is too long... I'd give them a try though and hem if needed. I'd like to try the Chinatown Trouser Jeans. so darn cute. and it looks like it could be dressed up wiht a blazer or dressed down with a tee and a cardigan! -I'm a follower on your blog post. -I would like to try out the Luana: Wide Leg out since finding a pair of wide legged jeans are virtually impossible for me. Second entry: I like Alliosn Izu jean accessories, very cute! My fave pair of jeans are the HOTEL ST.: Kolohe TS. Stopping by as well and loving your blog! Returning the favor and following through Google Connect! -I would love to try the Hotel St Skinnies that you reviewed earlier! Hello love! Thanks for letting my know about your giveaway! This is fantastic! I am following you now. p.s. I added your link to the list of giveaway on my post! I'm a new follower! Loving the UK super skinny jean. :) Finally a jean I wouldn't have to hem. I am a new follower. Love the Panio Low rider bootcut and the Chinatown Black Trouser jeans!Thanks PLG for doing the giveaway!! Like Laith, I'm also a new follower (well, in the official sense anyway)and would love to try the Chinatown trouser jeans and Panio Low rider bootcut. They both look great! Thanks! I followed and I would LOVE to try the Chinatown Black Trouser Jeans. Those are terrific. Great giveaway! : ) Are we supposed to comment for each entry? I'm not sure, but I'll do that in case! Entry 1 - I'm a follower! Entry 2 - I'd try the PANIO LOW RIDER: Bootcut! Hi Sydney! I am new here! I am so happy that there are several useful blogs about workwear for petites! Thanks for all your time on here! Hi Sydney! I'd like to enter your giveaway with 5 entries. -I am a public follower of your blog. -I'd like to try the Peni: Pencil Skirt from the Allison Izu website. I hope I win! Thanks for offering this giveaway! I am a follower on your blog! I'd love to try the Kolohe skinny! So cute! I just tweeted about this giveaway as Sammystic . I would love to try the Panio Low Rider; it's so difficult to find boot cut petite jeans that have a flare that sits perfectly on them! I'm posting the button/link in like a minute. It'll be in a blog post because I haven't quite figured out how to work the side things yet! I would love to try the KOLOHE WELT: Skinny Jean. I posted the button on my blog. Hi, I am a follower. Please enter me in your giveaway. I would like to try the Hotel St. Skinny Denim Jeans. My contact info is Davina916@aol.com Thanks! I also blogged about this giveaway. Thanks again for reviewing this. I'm a follower! 1st style for me. I visited the store and like their PENI: Pencil Skirt. I love the dark color of their denim, and I absolutely love pencil skirts. I followed you through google. I'd like to win the UK ZIPPED: Super Skinny. Great giveaway! I would really love to try the KOLOHE WELT: Skinny Jean because of the nice cut and you could easily combine them, they seem comfortable too! I like the Panio-Low Rider. I just went to Hawaii earlier this year and completely forgot to go to Ala Moana to try out the brand. Grr @ me. p.s. I follow via twitter, me = "doxyloo" and I tweeted! Hi there - Thanks for the lovely giveaway. I'm a follower! I think the Chinatown trouser jeans are gorgeous! and i left a link on my sidebar!